KJK is proud to announce that Laura Englehart has been named partner. 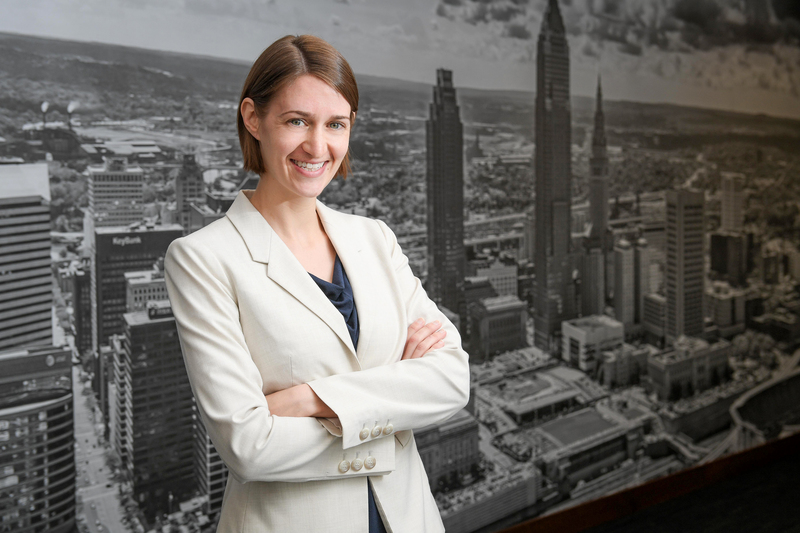 Laura has become a passionate advocate for economic development in Northeast Ohio, and her legal practice is focused on project management and negotiation of major deals that have brought and retained jobs and investment in Northeast Ohio. Laura’s impact can be found in her project management of the deal that kept Dealer Tire’s headquarters in Cleveland through the revitalization of the Victory Center in MidTown Cleveland. She was also instrumental in the success of the 2016 Republican National Convention, negotiating nearly 300 convention-related contracts and advising the Cleveland 2016 Host Committee. She also advises companies of all sizes in such matters as government relations, real estate transactions, mergers and acquisitions and other general corporate law. Her clients range from entrepreneurs and real estate developers to mid-market corporations and nonprofit organizations, and she frequently serves in the role of outside general counsel for clients. Laura was selected as a member of the Bridge Builders’ Class of 2018, a Cleveland Leadership Center program that empowers mid-career professionals in Northeast Ohio to hone their leadership skills and engage in important regional civic projects. Before joining KJK, Laura worked in the U.S. Senate advancing business and community development in Ohio. She holds a law degree from the Cleveland-Marshall College of Law at Cleveland State University, a master’s degree in public administration from CSU’s Levin College of Urban Affairs and a bachelor’s degree from Miami University. Get to know Laura by contacting her at lee@kjk.com or 216.736.7270.